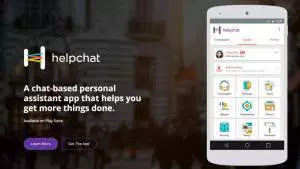 Helpchat is offering upto Rs 25 cashback on recharge of Rs 50 on buying a Coupon. There are three offers- Buy a coupon worth Rs 3, Rs 5, Rs 4 and Rs 8 to get flat Rs 10, Rs 15, Rs 20 and Rs 25 cashback on recharge of Rs 50 or more. How to buy the Coupon? How to redeem that cashback Coupon? • Click on Proceed and make the payment. √That’s it !! Your bill payment or recharge will be done immediately and you will instantly get the cashback in your Helpchat account which you can do to recharge again.